If you are not familiar with the ins and outs of Zwift’s “Trainer Difficulty Setting” I suggest you read this excellent Zwift Insider piece as a primer before continuing. 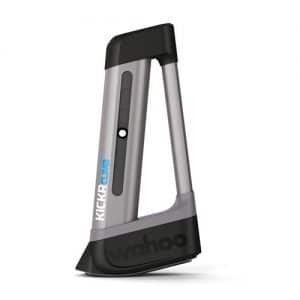 The Wahoo Kickr Climb at first blush does not have much adjustability of operation because of the way it receives signals from the Kickr trainer. 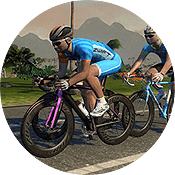 This poses a problem for anyone who has their trainer difficulty setting at less than 100% which is the majority of Zwifters–especially those who race. The slope the Climb produces is identical to the slope in game multiplied by the “trainer difficulty setting”. Therefore, if you have the slider at 50% then the Climb will only move to 5% when on a 10% grade in game. Most riders have the difficulty set lower to reduce the frequency/necessity of shifting and also to not spin out/be able to provide power on descents. Most racers I know compete with their trainer difficulty settings in the range of 10% to 20%. So when running difficulty at 10% the Climb would go to 0.3% on a 3.0% grade and only 2.0% on a 20.0% grade. There is no reason in racing or otherwise that I can think of that a user would want the Climb to not simulate the actual slope regardless of trainer difficulty. For me the two biggest selling points of the Climb are the correct ergonomic simulation of body and bike position on gradients and increased immersiveness of the simulation. I called Wahoo and expressed this concern but they said there was currently no way around the issue because Zwift simply sends the slope/gradient to the trainer already modified by the “trainer difficulty setting”. The trainer then simply relays this number to the Climb. They also said others had contacted them with the same issue but that there was not a fix in the works yet. I suggested that in the future they add a field in the Climb config for the user to enter a multiplier to correct for the trainer difficulty setting. Then I realized that they had already accidentally done this in the settings, but for an entirely different reason! In the Wahoo Fitness app under the Kickr configuration (once you have paired your Climb) there is a field for you to enter your wheelbase. A bike with a shorter wheelbase will require slightly less travel from the Climb to produce the same slope than a longer bike. Thankfully the engineers/coders did not limit the range for this field! Therefore it can be used as the “correct for trainer difficulty multiplier” and wheelbase simultaneously. This makes me VERY happy! Now the climb will simulate the full slope (accurately enough for our purposes) regardless of the trainer difficulty setting!! You just need to remember to adjust this number if you ever change you trainer difficulty setting in Zwift. Although the slider in Zwift settings makes this setting seem analog, you can see (and alter) the exact number for this setting in the “prefs.xml” file in your Documents/Zwift folder. In the xml file the line is <TRAINER_EFFECT>. If you have only adjusted the slider in game you are likely to find the line with a numerical value like this: <TRAINER_EFFECT>0.48656234</TRAINER_EFFECT>. This was with setting the slider roughly in the middle – hence the number is close to .5 though not exact. You can edit the number in the file (it will move the slider automatically in the settings) and keep this number until you touch the slider in game or edit the prefs file again. 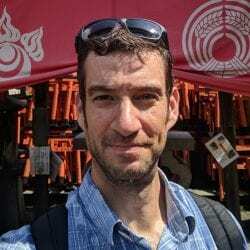 Motti lives in Oak Park, IL and is an avid Zwifter. He competed in the CVR Los Angeles live event and races from his basement as frequently as possible. Totally confused now. I have a Trek Madone, The Kickr3 and Climb. I have the difficulty set on zwift 100%. that’s all I know. Seems to give me all the percentages of climbs and downhills…. If you’ve got your Trainer Difficulty at 100% then the Climb will work as advertised. This hack is only needed if you’re running it at less than 100%, which many people do. Fantastic and well done for finding this hack – I have been messing around with the trainer difficulty since I received my climb trying to find a good compromise. This sorts it all out for me – brilliant ! Thanks Chad–I just updated the post. This was an obvious problem with the Climb and Zwift even before the Climb was released. I’m amazed that they haven’t fixed it yet. 1) Add a multiplier setting to the Climb firmware to undo the Zwift divider. 2) Add a difficulty setting directly to the Kickr, then you could set Zwift to 100% and the Kickr to 50% but the Climb would still receive the full 100%. However in my dealings with Wahoo they have been reluctant to add too many options as they don’t want to make things too complicated. More options = more misconfigurations = more support costs. Also note that Zwift divides downhill gradients in half. So a -5% at 50% difficulty is actually -5%/2/2 = -1.25%. But since the Climb has less downward range this is actually good. Perfect – thanks for the hack! Tried this setting but it seams that I don’t get full effect. I have 990 mm between the hubs, trainer difficulty on 0.35 that gives approx 2850mm. When I ride it feels like I get roughly 50% of expected gradient. Have you tried any measurement to see the effect depending on different wheelbase measurements? Sad about lack of support from both Wahoo and Zwift on this point mentioned in someone’s comment above that Zwift divides downhill gradients in half. This point is also mentioned in a recent YouTube video by Shane Miller gplama. I noticed this design “feature” myself and discussed this with both Zwift and Wahoo and neither acknowledged this. Why don’t the support reps know this? I understand a possible reason why this is the design: although the maximum up gradient is 20%, the down gradient is half of this: 10%. I propose a different design: let the Climb match Zwift exactly on the downhill with no adjustment (with of course a maximum down of 10% based on the physical limit of the Climb). I think that would be more fun. But why don’t the support reps know about this? It’s not even on their own web pages. Separately I set my difficulty at 100%. I don’t understand why anyone would set it at less. I use my setup for training and exercise. I want it to be as realistic as possible so that I am conditioned for real world similar routes. The halved downward gradient is not a Climb thing, it’s always been in Zwift. The fact that the Climb also has half the downward motion is just a coincidence. Zwift halves the downward gradient as a “game design” decision. Most likely because people would spin out too easily and you don’t get any workout by coasting downhill on Zwift. The Climb has half the downward motion because otherwise the pedals would hit the floor. Fortunately these two design limitations end up working together perfectly. 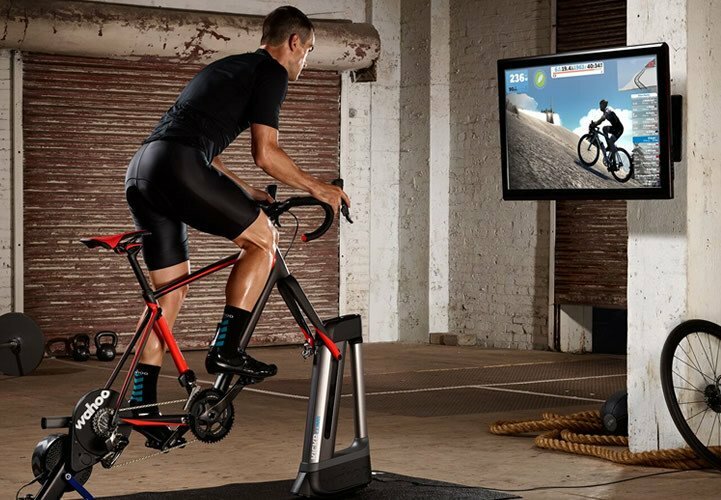 Are you able to make this work if your running Zwift on Apple TV instead of a computer? Not sure how to get to the “prefs.xml” file on the app in Apple TV. I assume the file in my laptop is not controlling the Apple TV because the in-game slider on the Apple TV was around 20% but the “prefs.xml” file I found on my laptop showed something in the .53845. . . range. I’d love to know this too. I use my iPad and want to get a climb so I can get the grade right up. But only have the TD at 30-40%. Having looked at the prefs file on my Mac (not connected to trainer or used it to ride with) I done see a line in the prefs for trainer difficulty. I’m guess as I’ve never connected?